Welcome to the third installment of my four-part article series on the core principles of music interactivity, including video demonstrations and supplementary supporting materials that take these abstract concepts and make them more concrete. In Part One of this series, we took a look at a simple example demonstrating the Horizontal Re-Sequencing model of musical interactivity, as it was used in the music I composed for the Speed Racer Videogame from Warner Bros. Interactive. Part Two of this series looked at the more complex Horizontal Re-sequencing music system of the Spore Hero game from Electronic Arts. So now let’s move on to another major music interactivity model used by video game composers – Vertical Layering. Interactive music is always a hot topic in the game audio community, and newcomers to game music composition can easily become confused by the structure and process of creating non-linear music for games. 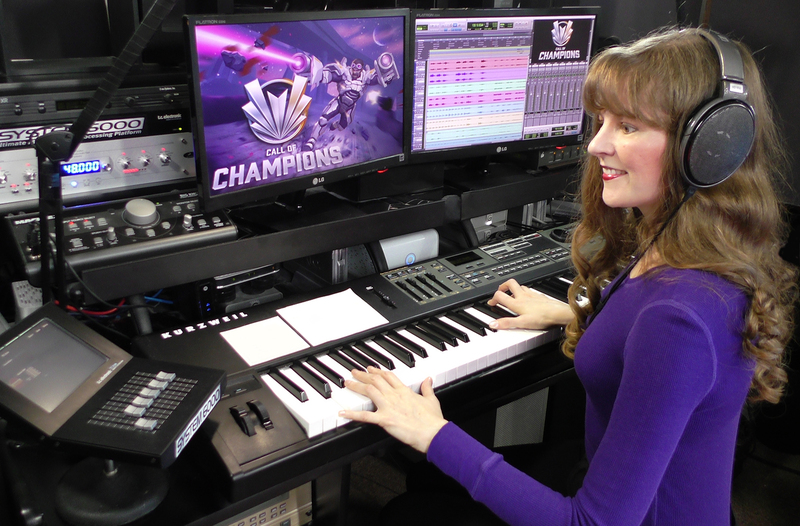 To address this issue, I produced four videos that introduce aspiring video game composers to some of the most popular tactics and procedures commonly used by game audio experts in the structuring of musical interactivity for games. Over the next four articles, I’ll be sharing these videos with you, and I’ll also be including some supplemental information and accompanying musical examples for easy reference. Hopefully these videos can answer some of the top questions about interactive music composition. Music interactivity can be awesome, but it can also seem very abstract and mysterious when we’re first learning about it. Let’s work together to make the process feel a bit more concrete and understandable!